Semi-automatic panels designed for uninterrupted supply for compressed or condensed gases. A 107 is a semi-automatic panel designed for uninterrupted supply for compressed or condensed gases. Switch-over between the two connected cylinders or bundles occurs when the pressure of one side (the primary side) falls below a pre-set pressure level. This is achieved by two integrated regulators (factory-set to slightly different delivery pressure levels) which are connected at their outlet ports. The panel is mounted on a stainless steel console and consists of two pressure regulators, inlet and outlet gauges and a relief valve. 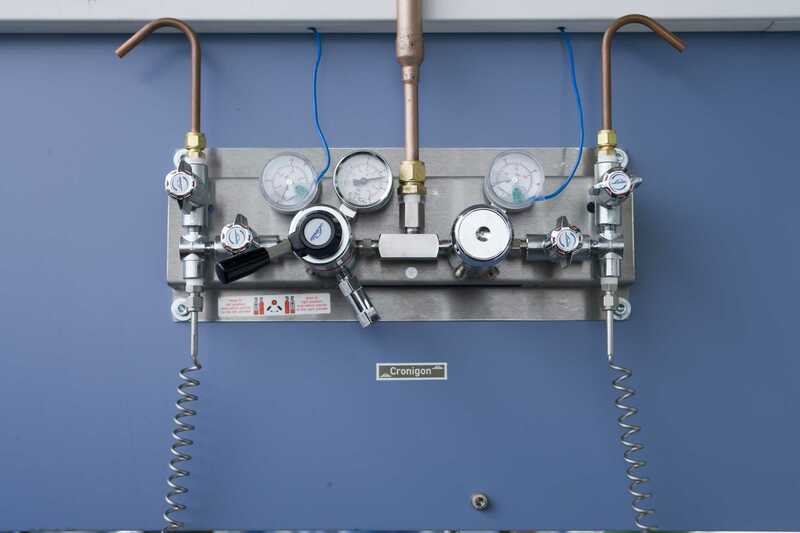 A 107 semi-automatic gas panels can either be equipped with inlet shut-off valves for all gases or inlet check valves for all but oxidising gases and gas mixtures. The panel can be equipped with inductive contact gauges. A 108 is a semi-automatic panel designed for uninterrupted supply for compressed or condensed gases. Switch-over between the two connected cylinders or bundles occurs when the pressure of one side (the primary side) falls below a pre-set pressure level. This is achieved by two integrated regulators (factory-set to slightly different delivery pressure levels) which are connected at their outlet ports. 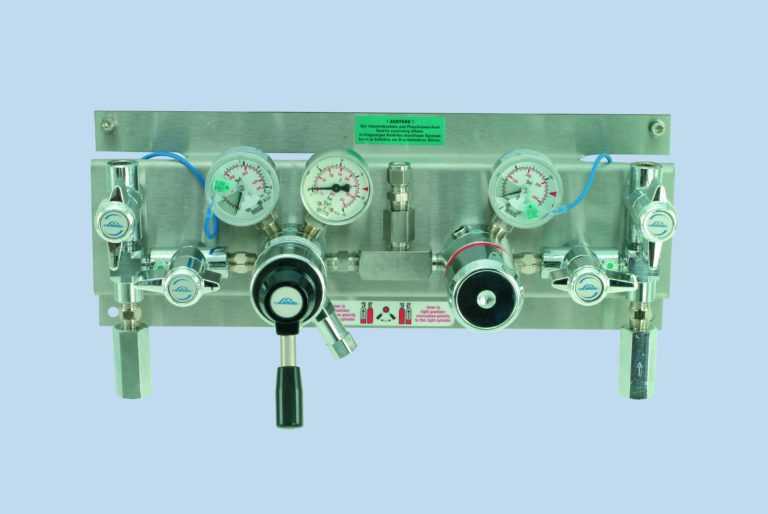 The panel is mounted on a stainless steel console and consists of two pressure regulators, inlet and outlet gauges and a relief valve. A 108 semi-automatic gas panels can either be equipped with inlet shut-off valves for all gases or inlet check valves for all but oxidising gases and gas mixtures. The panel can be equipped with inductive contact gauges.